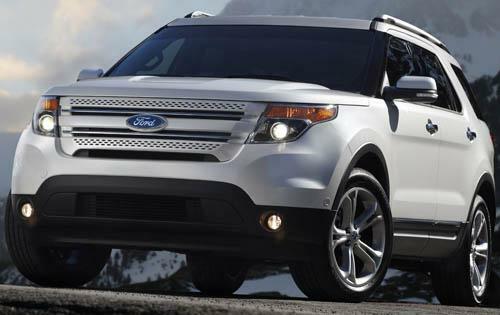 The 2011 Ford Explorer will be produced with a big amount of recycled and renewable materials. This SUV increases Ford’s use of bio foam and recycled fabric in interior car parts, as well as recycled steel in select exterior parts. 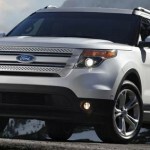 Ford Motor Company says that these and other eco-improvements help to make 2011 Ford Explorer 85 % recyclable. Soy foam has helped Ford reduce its annual petroleum oil usage by more than 10,500 barrels, and is up to 24 % more renewable than petroleum-based foam. The use of soy foam also has helped Ford reduce its carbon dioxide emissions by 11 million pounds – the annual equivalent of 965 typical American households. Explorer uses 25 % recycled fiber in its interior fabrics, including seat upholstery, bolster and carpeting. The use of recycled fiber instead of virgin fiber results in an estimated 20 % reduction in energy consumption, 17 % waste elimination and 14 % reduction in carbon dioxide emissions for the Explorer’s seating materials. Besides these ecological achievements, the company researches heavily on further substitutions for petroleum based materials. Growing car parts from mushrooms is just one among a variety of technologies that are being explored to reduce the carbon footprint of car production. Ford scientists intend to use various mushroom roots and wheat straw grown inside an appropriately shaped mold to manufacture specific components.